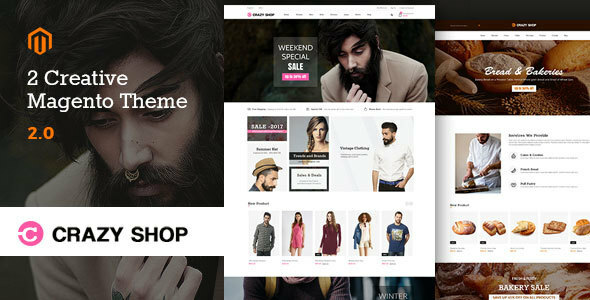 Crazyshop – Multipurpose Responsive Magento2 Theme Specially Design For the Ecommerce Store like Fashion Store, Auto Parts,Food Store,Grocery Store,Bakery Store,fresh store,Furniture Store,Electronics Store,Mobile Store,Medicine Store etc. Crazyshop Magento Responsive Theme is specially designed for fashion designer store, electronics, Furniture Store, Electronics store, Mobile Store ,Auto Store,Medicine Store and Multipurpose stores. Honour Magento Theme is looking good with colors combination and layout. All sub pages are customizable.